The court was also responding to the government stand that farmers’ suicide across the country is hugely exaggerated and the hue and cry is disproportionate to the real number of deaths if one goes by the latest National Crime Records Bureau (NCRB) figures comparing figures the from 2009 to 2013. The social justice bench of the Supreme Court today tersely told the Modi government that it need not be complacent feeling that suicides by farmers "have come down" and said it should take all measures to ensure that "it is completely stopped”. The bench comprising of justices Madan B Lokur and U U Lalit also asked the step to review its eight year old policy on farmers—National Policy of Farmers 2007—holding that there were “inherent deficiencies” in it. “Decrease in number (of suicides) is not enough, there should be no case of farmer suicide in the country. It should not happen at all.”, the bench told Additional Solicitor General Pinky Anand when she said there was a considerable decline in unfortunate incidents of farmers' suicides. The court was also reacting to the affidavit submitted by the court in March which said farmers’ suicide across the country is hugely exaggerated and the hue and cry is disproportionate to the real number of deaths if one goes by the latest National Crime Records Bureau (NCRB) figures comparing figures the from 2009 to 2013. The court also questioned the holding of yearly meetings of the committee, headed by renowned agricultural scientist M S Swaminathan, to discuss the problems faced by farmers and said such brain-storming sessions should be held more frequently. The bench, which was hearing a PIL seeking government to take steps to prevent farmer suicides, asked the Centre to file an affidavit within six weeks clearing its stand on revisiting the policy. 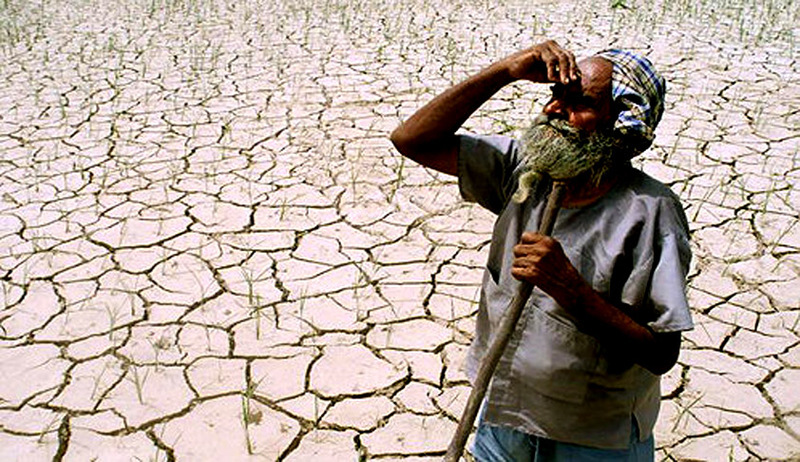 “May be because of the policy, the farmers are committing suicide. You (Centre) file an affidavit within six weeks stating whether it is necessary to revisit the policy which is eight years old, it said. In March this year, the Ministry of Agriculture had filed an affidavit stating that the number of suicide deaths of farmers have declined since 2009 and there were factors other than agrarian which led them to take their lives. “In fact other self-employed non-agricultural/farming persons are more prone to suicides at 29.28 % (39,462 out of one lakh suicides in 2013) while farmers comprise only nearly 7% to 8.7% of those who commit suicide”, the affidavit submitted by the agriculture ministry had said. Further, it said, suicide deaths by house wives were recorded at 22,742 (16.88 per cent of total suicides), service at 16,706 (12.39 per cent of total suicides) and others at 24,809 (18.4 per cent of total suicides). “If we take into view the fact that more than 50 per cent of the population is engaged in agriculture/farming, the number of suicides under this category as compared to other categories is much lower”, it said. The affidavit was filed in response to a PIL seeking direction to the government to take steps to prevent farmer suicides across the country. The PIL had stated that there is a high distress level in the agriculture sector. However, the government said it was not as alarming as made out in the plea and claimed that suicides in the country are not due to agrarian reasons only. It said that as per NCRB causes of suicides include family problems, illness, drug addiction, unemployment, dowry dispute and other reasons. “Suicides are essentially a manifestation of an action taken in a specific state of mind and are not confined to any particular strata of society. Economic reasons may not be the sole or major cause leading to suicide”, it said. The number of suicides by persons self-employed in farming/agriculture in 2009 was 17,368 which has come down to 11,772 in 2013. It is further submitted that according to NCRB as against total population of 122 crore (estimated) during 2013, the total number of suicides in the country was 1,34,799, out of which suicides under the category of self-employed (farming/ agriculture) were 11,772 which is 8.73 per cent of the total suicides, the Ministry of Agriculture said in an affidavit.